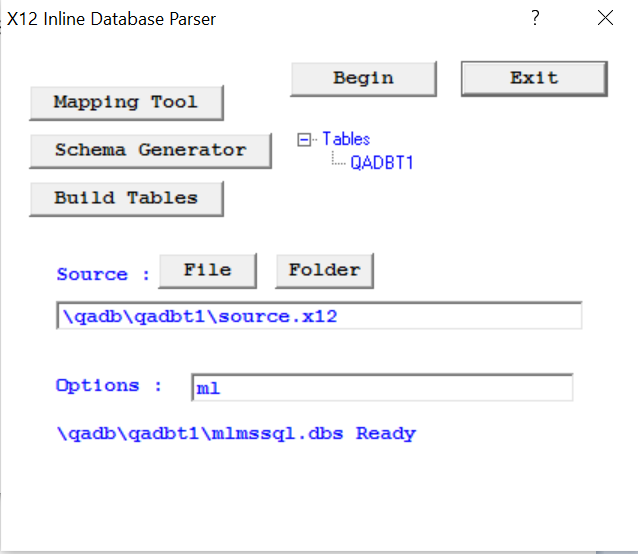 The easiest way to get started with the Database Parser is to use the Examples provided within the product. 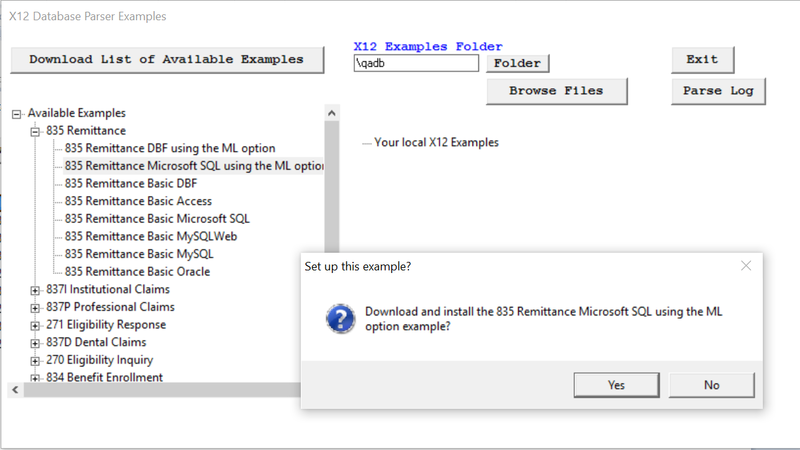 This example below will convert a X12 file into a Microsoft SQL database. 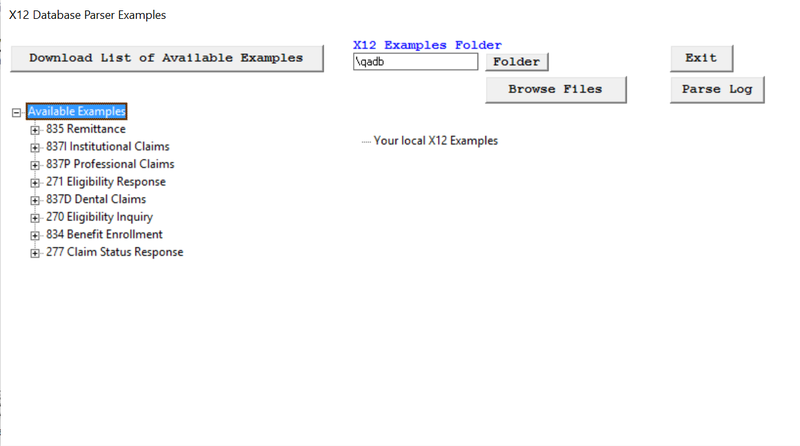 from the parser menu a dialog box will be displayed for the examples. When you click on the Download List of Available Examples button, a listing tree of the available examples will be displayed on the left hand side of the screen. Expand the tree to display the examples. When you click on one of the examples you will be asked if you would like to download that example. 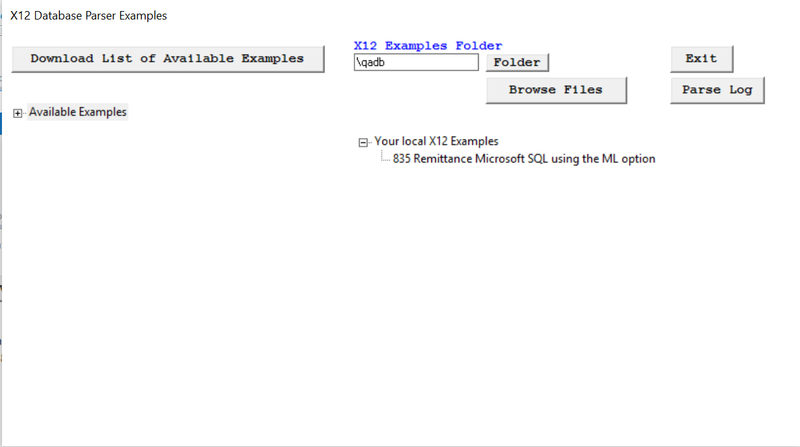 After the example has been downloaded it will be displayed on the right hand side of the X12 Database Parser Examples screen. 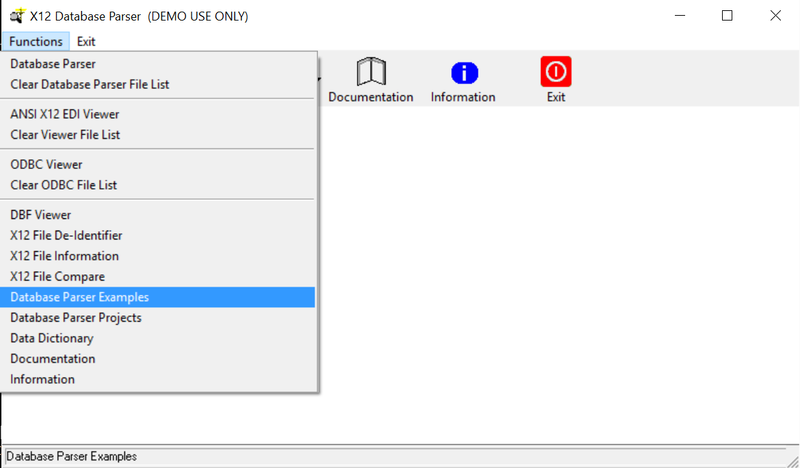 Click on the tree item and the Database Parser user interface will display. Click on the Schema Generator button. Schema Generator box will display. Click on Text Edit button on right side of screen. 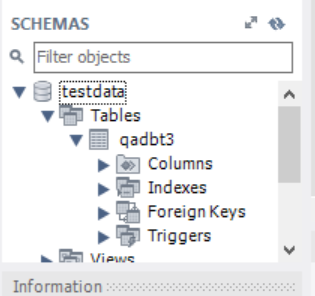 In the Schema Text Edit there are four critical fields that may need to be modified. 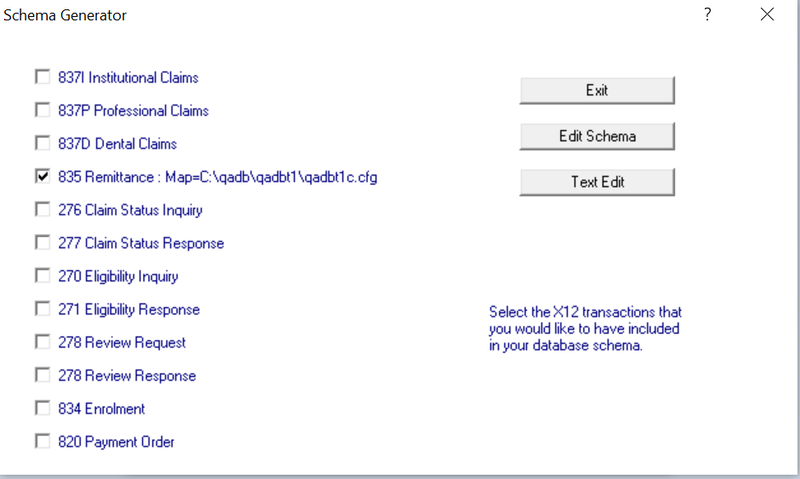 After the changes are applied to the schema, the X12 Database Parser screen will display. Connect to Server dialog box will display with Server name (SERVER) and User Name (USER). In this case, PASSWORD is the password used to log into Windows. Click Connect, Object Explorer will display. 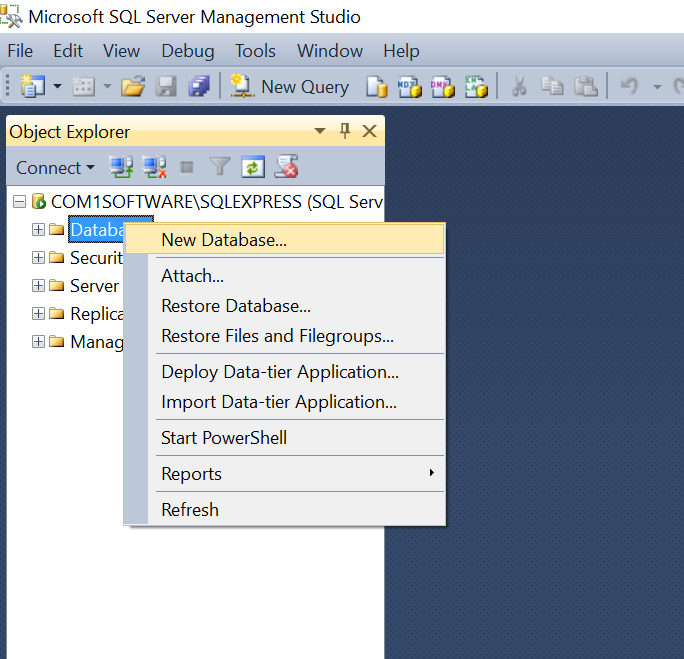 Select Databases, right click mouse and select New Database. A New Database dialog box will display. 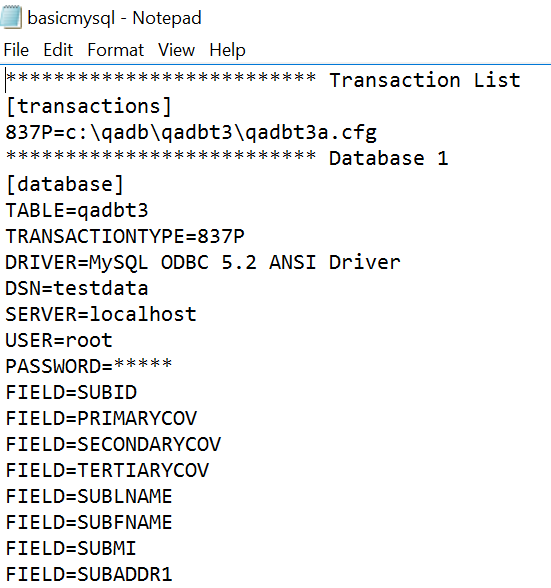 Enter the Database name: TEST. 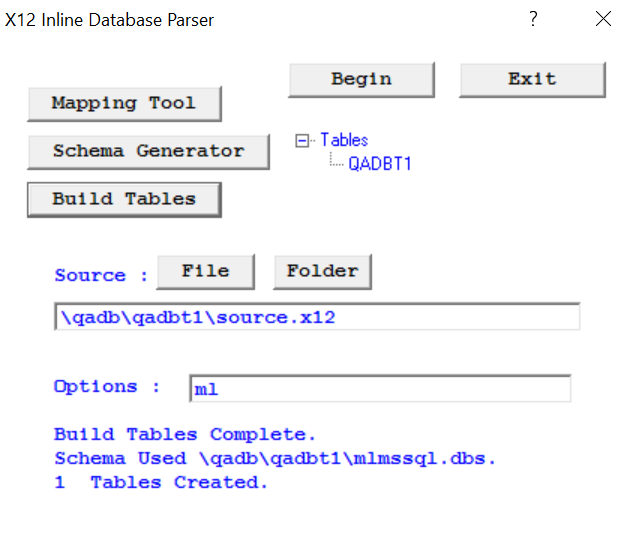 Click Ok.
Next in the Database Parser user interface click the Build Table button. After the table has been built click the Begin button to start the conversion process. 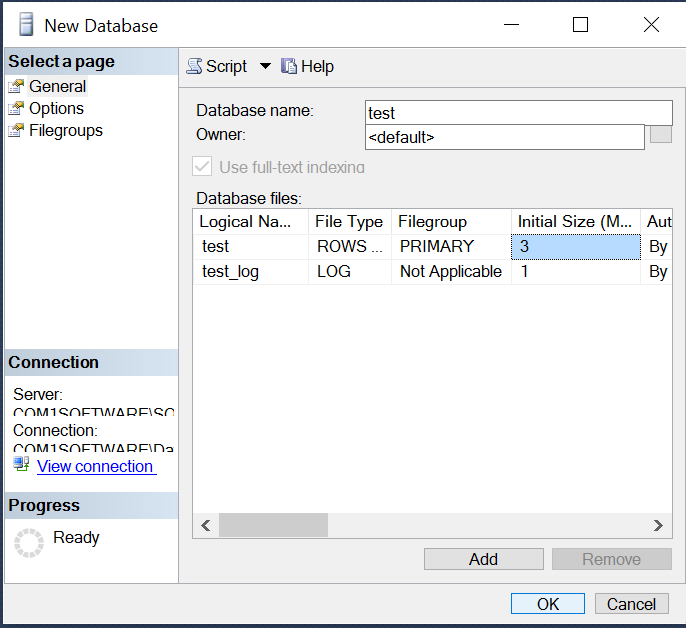 After the Database Parser has completed the conversion process, you can open Microsoft SQL Server Management Studio, select the test database and display the first 200/1000 rows in the table that were created. 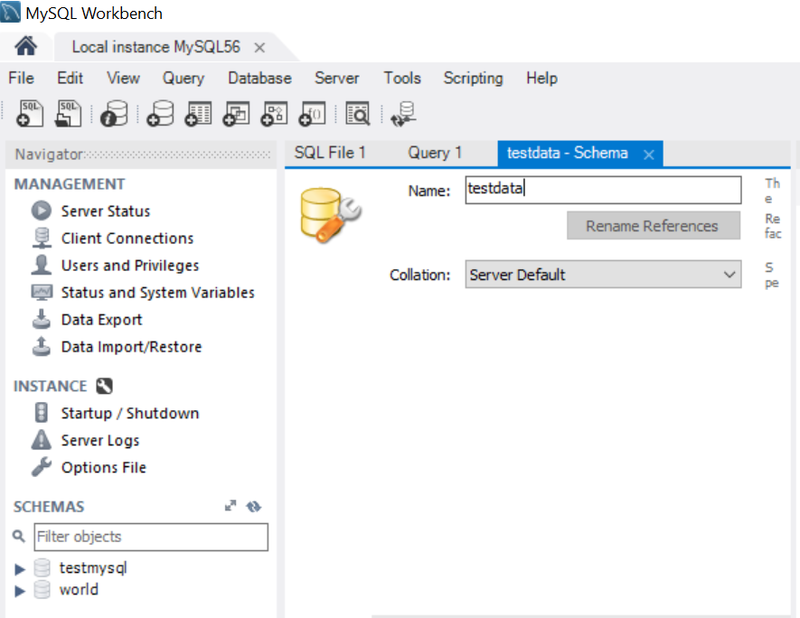 After the changes to the schema are saved, create a schema in MySQL Workbench that has your DSN Data Set Name. 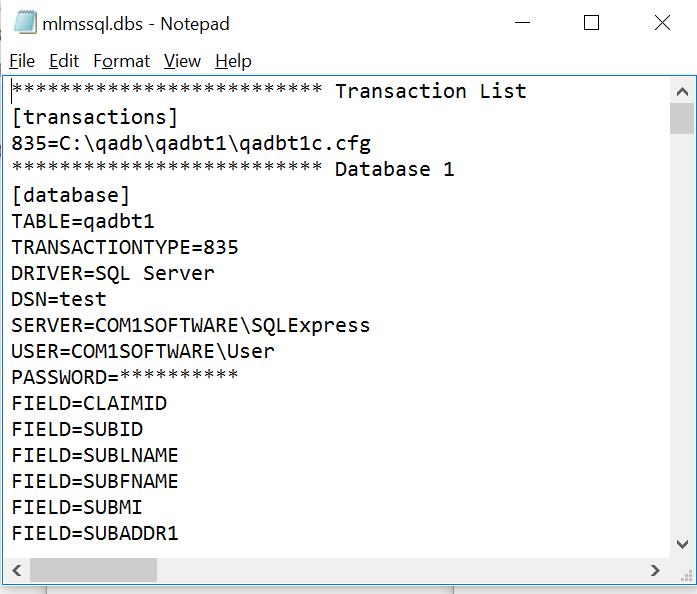 After the Database Parser has completed the conversion process, you can open MYSQL Workbench, select the test database and display the first 200/1000 rows in the table that were created.